My Favourite Film of the Year….so far. So far, and yep I know it’s early days, this film is my favourite movie to hit screens and hit screens it does, it smashes across them with drum beats and blistering battles of ego in such a cool and musically slick way. I can already see this film being in my top ten of 2015 by the time 2016 rolls on around. That’s testament of how good I feel all factors of ‘Whiplash’ are. 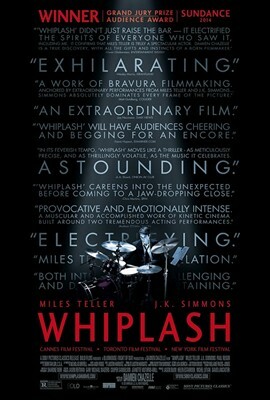 Miles Teller and J. K. Simmons are hitting every high note planted on their song sheet (scripts) and pit off against each other with a suitable and perfect ending, the jazz ride there is fierce and brutal, a contained thriller set around drumming never looks the part on paper but trust me if you still haven’t seen it, it’s worth the entry fee. 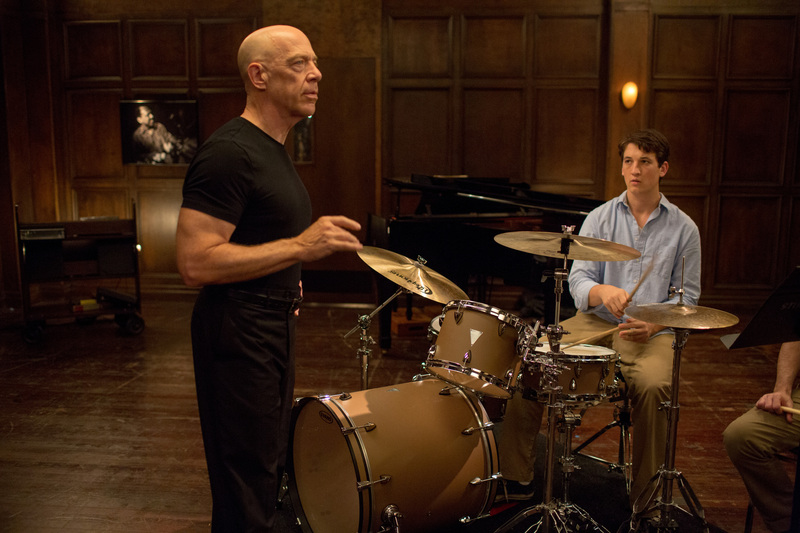 To see what else I said about Damien Chazelle’s energetic original and Oscar winning film, click on WHIPLASH. Hey! It’s been a year since I posted my first review on this very movie blog. That’s quite mega don’t you think, so in weak relation to that I’m reviewing ‘Megamind’. It’s zippy, fun and entertaining too, just like keeping up with writing for this review blog is, so dive right on in to see what I thought of DreamWorks 2010 hero themed toon. Rivals since babies; Megamind (Will Ferrell) and Metro Man (Brad Pitt) play the same revenge battles in Metro City until one day Megamind may finally come to winning. In the possibility of no hero and no need to keep on kidnapping reporter Roxanne (Tina Fey) what can Megamind do to keep occupied and will his answer make things worse like normal? It’s not in any way a fresh story to run with, superheroes in both live action and animation are old hat but this film has some zippy visuals and fun energetic voice casting to help it along a lot. The destruction looks great and you can see where the 3D would have fitted in. Buildings crumble, sprays of Megamind graffiti line streets and explosions fill this Metropolis inspired city. The superhero angle is winked at from Lois Lane like Roxanne to Batman like lair and a mention of a Fortress of Solitude. 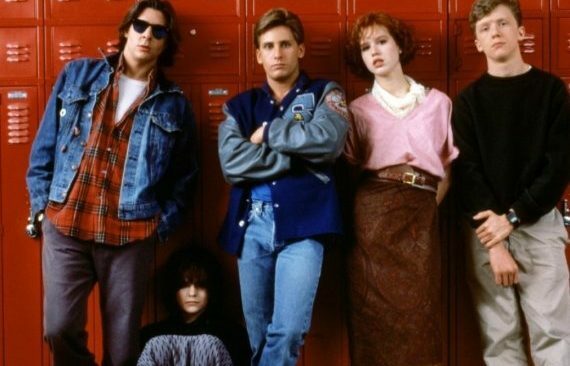 Brent Simons and Alan J. Schoolcraft don’t excel fully, some of their hero connected plot work is smart and suitably silly but not enough is different enough to feel as zany as it’s trying to be or remarkable enough to be a new thing. The story line is predictable from a long way off as you read into where each character is going, but that’s not a widely bad point, it is a family film after all and so it shouldn’t be too confusing, just maybe the good vs evil angle could have been played around in a less obvious manner. Rocky soundtrack choices and humour in Megamind’s mispronunciation are a couple of selections from a few quite neat comedic touches in Tom McGrath’s enjoyable cartoon ride. The multiple coded code word back and forth discussions, the blase reactions of Roxie to her kidnaps, the radio cutting between songs and Megamind’s way of dealing with his loss of an obstacle are funny additions and keep the film running at a steady and welcome pace. Will Ferrell gives the large blue headed alien baddie a buffoonish quality but yet with an endearing note that leaves you liking him no matter how idiotic he acts. The vocals he gives when the film spoofs Marlon Brando in Superman are hilarious and there for the adult audience. 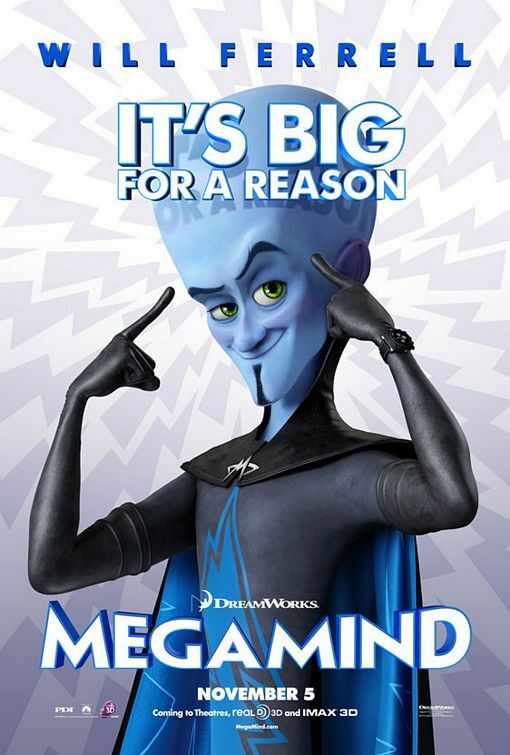 There’s a spark of wit in Megamind’s dialogue that gives him depth and character to carry the film more than well. This witty trend is shared greatly with David Cross and the quick firing banter he has with Megamind as talking fish sidekick, Minion. Brad Pitt gives his voice nicely to the showboating and over heroic Superman-esque stylings of Metro Man. Tina Fey is great at the nonchalant mannerisms and gives a balanced degree of heart and offish reaction to her reporting character. Jonah Hill as doofy nerd cameraman Hal is typically Hill but his character progresses and so does his vocal work so all in all the cast are very good at playing this story out. A superhero parcel arriving at the door that needs not be opened before you know what’s inside, but there’s an amount of joy to be had in unwrapping that parcel. Metaphor aside and near the end of an anniversary review, ‘Megamind’ is rapid, fun and harmless heroic play.